You’ve heard the old adage, “keep your friends close, and your enemies closer,” right? While other agents aren’t necessarily “enemies,” they are the competition and believe it or not, staying attuned to their actions can help boost your own marketing endeavors. You can learn a lot about an agent based on their social media. If they are popular in your location, chances are they're actively engaged on their social media channels. Take note of how often they are posting, what type of content is getting the most engagement, and how they brand themselves on their page. Take 1 or 2 things that appeal to you and start working these into your own social media plan. In addition to social media, email continues to be another great avenue for nurturing and connecting with leads and clients. Curious about how others in your industry are handling their email marketing campaigns? Wonder no more! Many agents have their own email campaigns and newsletters that you can sign up for on their website. Take advantage of this hidden gem and explore what you think is particularly effect in their campaigns and what areas you could improve upon yourself. Content continues to be a great attraction for real estate leads. 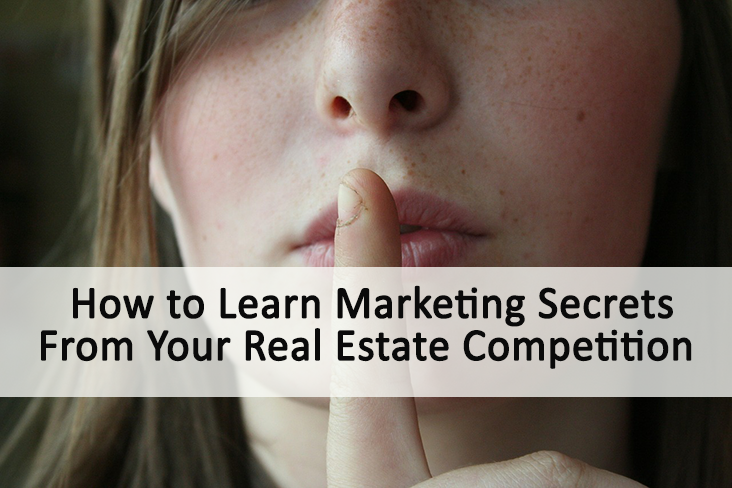 In addition to subscribing to the blogs of real estate news sites and your favorite bloggers, start checking out what your competition has to say. Do they focus on industry news. Community events in the area, tips for sellers and buyers? If you are a bit stuck for new blog content, find inspiration in the writing of others. Of course, make sure it is still your own! Networking is one thing that should always remain constant no matter how long you have been an agent. Sure, no agent is going to spill all their secrets, but often you can get some great advice and ideas simply from a forging a friendship with those in the industry. If you don’t yet have a Google AdWords account, it’s time to set one up. Don’t worry, they’re free. You can sign in to learn a lot about your websites performance as well as the performance of your competitors online. If you are new to SEO(search engine optimization), you can read more about doing a simple keyword analysis here. Now it’s time to put these tips to the test! Get out there and learn from those around you! Want to know another secret about marketing? There’s an easier way to manage your Facebook page. Check out a 30 day free trial of the Social Auto Poster tool below!